So you decided to make the jump and own your own warehouse. You found the ideal location, built it out according to your specifications, finished stocking it, and your first order just came in. Now all you have to do is figure out how to run it, from keeping track of stock, employees and order statuses. Continuing where we left off last week, Aaron Rubin is back to share his extensive knowledge and experience, Aaron delves into the technical side of running automated warehouses and explains what you should be doing once the orders start rolling in. We get into how to best use systems like Ship Hero, manage the entire process from order to fulfillment, and what metrics you should be recording. Don’t miss these actionable tips and advice for anyone already owning, or thinking about owning a warehouse. How Ship Hero can help you manage employees. Aaron’s preferred method of reconciling his warehouse. The top metrics to be watching for in your employees. Andrew: Today on the podcast, we’re going to be picking up the conversation where we left off last week with Aaron Rubin, who owns a number of eCommerce stores, is the founder of ShipHero.com, and is a top contributor to the eCommerceFuel private forum, and really known as the shipping and warehouse guru to the members of the community. Last week, we talked about how do you know when it’s time to start warehousing to jump into stocking your own products? 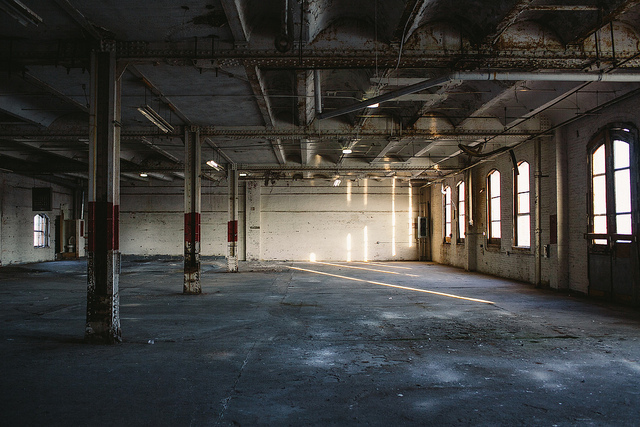 And what should you be looking for in a facility and in an actual warehouse space? How does the lease work? How do you actually receive products? We talked why forklifts are probably a terrible idea even though they could be wildly entertaining. So if you didn’t catch that episode, make sure to head back and listen to it. Andrew: Today, we’re going to be talking about how to find and hire and manage staff. We’re going to talk about boxes and packaging. How the whole process works or should work from the order coming in to actually getting it out the door if you’re running your warehouse properly. Counting inventory, metrics to track and a few thoughts on branding. So it’s a great discussion. Aaron has just so much knowledge about this. I really enjoyed diving deep with him. So without further ado, let’s go ahead and dive back into the conversation where we left off last week. I was reading a thread in the forums. I think, actually, Bill D’Alessandro, of course, another regular on the podcast here, he’s getting ready to start a warehouse, and there’s a fantastic thread he started. I think you weighed in there, too, Aaron. We’ll link up to it if you’re a forum member. In the show notes here, we talked about what things should you be thinking about if you’re starting to run a warehouse. And one thing that really surprised me, a number of people, I don’t know, 3, 4, 5 people or more used temp workers for warehouse workers and it seemed like it worked out really well for them. They hired people on from a temp agency, they worked for a while and if they worked out, they brought them on to full-time payroll. So is that something that you’ve done, Aaron, you’ve had experience with? And if so, has it been successful? Aaron: Yeah, I saw the thread and I think Bill is going to be using ShipHero when he goes live in his warehouse. Aaron: Yeah, you can ask him about that once he’s live. No, we don’t do that. I was surprised how many people said that. If you put an ad on Craigslist and you just say, “Hey, we’re looking to hire some warehouse staff,” and you just offer slightly above kind of market rates, you’ll get 20 resumes in a couple of hours, at least where I am, I’m not sure why people are resorting to temp agencies, because that kind of adds some cost. For us here, we just use Craigslist. And we’re really data driven, so we record, we know exactly what everyone did in terms of output and errors. So yeah, we just look at the numbers and if their numbers are good, we keep them on board, if their numbers are not good, we bounce them. Andrew: Let’s say they’re using an iPhone. They log in with a PIN for ShipHero, and so everything that they do in terms of the orders that they pull, pack – you can track efficiency, error rates down to the employee, right? Aaron: Yup. You can even see a little chart of what they did throughout the day. At this time, they packed this. At this time, they did that, whatever. So with that data, managing employees, and setting expectations, and monitoring performance is just like you just look at your screen kind of thing. Andrew: That’s crazy. Total non sequitur here, but it just popped into my brain, I’ve got to ask. How are you running a SaaS app? You’ve got 3 or 4 or 5 different eCommerce stores under the same umbrella, but different platforms, the warehouse. You’re running a fairly, what I think, is an impressive and sophisticated SaaS app for ShipHero. How do you all this stuff? Aaron: Well, ShipHero eats all my time. The martial arts business, we’ve got a few really good people that have been with us for a while and essentially, they run the show. I show up, make myself look important and then I go back to ShipHero. Andrew: So you’ve got great team members in place and it’s really well automated? Aaron: Yeah. The automation helps, but it’s really about the people there. They’re fantastic. They do their job better than I could do it. Andrew: Do you show up at the warehouse every day or just occasionally? Aaron: I usually stop by for a few hours once a week. That’s it. Andrew: Wow, okay. There’s just a picture of your face with the stats of everyone’s pick rate errors in the corner . . .
Andrew: Getting back to staff, sorry, I couldn’t resist asking that, but getting back to staff, you mentioned hiring for market rates. What’s market rate for a warehouse worker? Obviously, if you’re hiring in New York City and Manhattan, it’s going to be different from Reno, Nevada, anywhere else. It doesn’t get much more expensive than Manhattan. But is there a ballpark? What’s a rough average hourly rate for a pick and packer? Aaron: We’re like 30 miles outside of New York City so we’re not like super expensive rates. But we start at $12.50 an hour. I don’t know how that compares to the rest of the country. Andrew: Okay, great. And any final tips for when you’re looking to hire warehouse workers? You think if you’re hiring someone for customer service or marketing, those are pretty, maybe not for me, at least, more intuitive on what kind of skills you need. But what kind of skills are you looking for when you’re hiring warehouse guys? Aaron: Warehouse is the easiest to hire because unlike customer service, or marketing, or purchasing where it’s kind of hard to judge who’s the best, and who’s the worst because there are a lot of things that are hard to quantify, like how well do they speak to the customer, it’s hard to put a number to that, especially on a regular basis, versus in the warehouse, it’s real easy to put numbers to it. So yeah, I haven’t found one profile of who’s a good employee. They look totally different, the best people. But yeah, we just watch the numbers. It’s really easy to see who’s . . . I mean, it’s not uncommon whose output is 50% higher than someone else’s if you hire them both on the same day. And then it’s pretty obvious which one to keep. Andrew: What about packaging? You know, you run your own warehouse. All of a sudden, you’ve got to deal with tape, you’ve got to deal with boxes, all this kind of stuff. Where do you get those? Do you get them for free from UPS and FedEx? Do you have to order them from a place like Uline? And if so, where do you order them? Aaron: We used to have a local supplier that used to have trucks coming out to us, come to our area once or twice a week so they would deliver for us. I’m not sure who we’re using right now. Andrew: And what about in terms of accounting for those on the income statement? This is kind of a geeky financial question, but do you wrap those all into the cost of goods sold? How do you incorporate those? I’m guessing you probably don’t match each box to the cost for each order, but where do you put those on your income statement? Aaron: My accountant moves some of that stuff into cost of goods sold, but he does that at the end of the year. I don’t sweat it on a regular basis. Aaron: Yeah. There’s also some other stuff that goes in there related to just general warehousing costs that they move in. There’s some rules and formulas. I don’t know the details. Andrew: So we covered some of this, but we’d love to go through the process of all the way from a new order coming in to getting shipped out on your site. So let’s say a new order comes in. I’m starting to get back, I decided that I want to get the Brazilian jiu-jitsu, order a bunch of stuff from you. And order comes in across from Andrew Youderian into the warehouse. So what’s the first thing that happens? It comes in, of course. I’m sure you get an e-mail on Shopify. But is there a packing slip that gets printed off? Does one of the warehouse workers, does he have in his little oder fulfillment queue, a little beep? Like Andrew’s order pops up there? How do you like my beep noise effect? It’s very hi-tech. Aaron: I’ve got to license that from you. Andrew: It’ll be pricey. How does your team know that I’m there? Aaron: All right. So the first thing that happens, they’ll either get put on hold or not. So if it’s yours, we definitely go straight to the front hold. Once we clear it up and make sure that there’s no hold, once all the holds are released, then it’s available to ship. Andrew: Sorry to interrupt, but why would there be, apart from you not wanting like a physical challenge, or if we ever meet at a conference, but why would there be a hold put on any order? It’s like fraud, maybe? Aaron: Yeah, the most common hold is fraud hold. So based on scoring, when the order comes in, if it exceeds a certain threshold, it just gets flagged for fraud. Andrew: Got you, okay. So no fraud, it’s Andrew. Andrew: You’re kind. He doesn’t have any muscles anyway, so he’s not a threat. So it comes up on the iPad for ShipHero or the iPhone. What happens then? Aaron: Yeah, so it would show either as a single order or as a batch, depending on how it’s set up and how many items are in the order or whatever. But essentially, they see . . . I’ll just go through the simplest. Assuming it’s not a batch, it’s just one, they just see here’s an order, here are the items. They walk around, grab the items off the shelf, scan them to confirm, put them in a poly bag or a fancy box for you. How do you like your packaging material? And then the scale reads wirelessly to the iPad. So you just hit “Print invoice,” it spits out an invoice. You hit “Print label,” put the invoice in the poly bag. Seal it. Put the label on top, push it down the conveyor line, go get the next one. Andrew: Wow. Do you have a Bluetooth-enabled scale that syncs with ShipHero? Aaron: So the way we did it is there’s no good Bluetooth thermal printers and there’s not a lot of good Bluetooth scales for the industrial, you know, I’ve-got-to-go-up-to-70-pounds-and-be-durable sort of thing. So what we do is we actually have a computer station that’s connected to all your devices. So your label printer, your thermal printer, your scale, and that speaks via sockets. So it goes out over the web, through ShipHero, down to the iPad and it’s seamless. You won’t even notice that there’s any delay, but that’s the way we do it on a technical basis. Andrew: And what kind of scales for someone who’s maybe thinking through, okay, I’m going to use ShipHero, but I have no idea what this collection of hardware is. Can you throw out some names or recommendations or even just brands on, hey, who you should be looking at for that central unit, who should he be looking for for that scale, all this kind of stuff? Aaron: It’s all standard stuff. So the scale, any USB scale. So it could be a DYMO scale that’s like $40 on Amazon. We use in our warehouse a Mettler Toledo PS60s, they’re like $400, $500 each, but they’re actually really accurate versus those little ones that are not accurate. If they’re not accurate, it doesn’t seem like a big deal, except you’re paying postage on an inaccurate weight. So over time, that’s going to cost you a lot of money if you’re doing a lot of volume. And then also, the durability. Those things will last for a decade, even when getting knocked over, banged around in the warehouse. And then usually, UPS or FedEx will give you a thermal printer. And all those thermal printers work if you ever switch or whatever. So those are all standard, those work out of the box. And then for invoices, it’s just any laser printer that’ll print paper for the signing stuff. Andrew: And then you said there was a hub that everything plugged into, the printer, the scale, everything like that. Is that just a PC that you have set up or is it a special device? Aaron: Yeah, any PC or Mac. Andrew: Okay, great. So it sounds like it’s on the scale, ShipHero will say, “Okay, this is 4 pounds. It’s going to this ZIP code from our ZIP code. Here’s the rate.” Will ShipHero automatically say, hey, it’ll be cheaper to send USPS or vice-versa. It’ll be cheaper to send UPS. Does it do that automatically and is there logic-based stuff where you can just say spit out the method that’s most cost effective to ship? How do you compare rates in that process? Aaron: Yeah, so you could set it to live rate quote all the available options, including any flat rate or regional rate boxes that the item will fit in that you have enabled for your store. And it quotes them all. Now, you can also set a delivery time. So you can say, “Hey, it’s got to be there in 2 days, but get it there the cheapest way in 2 days.” Yeah, it does all the quoting and just spits out a label. We try to take that all kind of decisions out of the frontline people and just put it into business logic. So the person doesn’t have to decide, hey, is this going to be faster or cheaper using UPS, or first class mail, or priority mail, whatever? It all happens within ShipHero automatically without them seeing it. Andrew: That’s amazing. I’m going to start a warehouse just so I can use this software. Aaron: All right, we’ll sign you up. Andrew: It sounds awesome. What about over-sized stuff? I know, especially this year, with UPS and FedEx, some of their over-sized stuff is way more expensive than for a guy who ships 4 or 5-foot antennas. That has not been fun. Do you have to enter in dimensions or do you only have to enter in dimensions if you’re shipping something big and long and bulky? Aaron: At this point, I think UPS and FedEx consider something big if it’s larger than two postcards put together. So the way we handle it is you can manually enter the dimensions of the box. But what we usually do is we have a drop-down for the boxes, so you can choose it from the drop-downs. “Here’s my six enabled boxes,” so it’s just this one. But there’s more. I had to put that in there once. You can actually just scan a barcode for the box. So what usually people do is they have a list of all their boxes, like on a shelving unit, each location has a little barcode, and you just scan the barcode that’s there and that tells us which box you’re going to use, and then you don’t have to type anything or do any choosing to scan that barcode. Andrew: Got you. That makes sense. So once that comes out, you’ve got the box on there, you print the label, you slap it on. At that point, will the system automatically shoot out the tracking number printed onto the label and push it out to Shopify or whatever card you have connected? Aaron: Yeah, exactly. And it’ll tell you what went in there, and if you’re doing multiple boxes, you can even say, oh, these two items are in this box. These two items are in that box. So customers can see each tracking number, what’s going to be in there. And you know, once a box gets lost, you know what’s in that box. Andrew: Great. And then the inventory, of course, gets updated on the live cart. And I’m guessing your revenue, your cost to goods sold or anything gets pushed out if you want it to, to QuickBooks or Xero or whatever it is? Aaron: Yeah, exactly. The invoices get updated as completed and everything gets pushed to get paid and all that good stuff. Andrew: Okay, great. And then for pickup, you’ve got . . . even as a guy who’s drop-shipping, I’m always pushing my suppliers to try to have later and later pickup because it means that we can get more orders out. Yeah, I get a pickup at 10:00 a.m., anything that comes in at 11:00, 12:00 has got to wait till the next day versus a 5:00 p.m. pickup. You can really load them up and get stuff out the same day. I’m guessing that’s probably something everyone wants though, or at least a lot of people. Is that something you have to cajole and nudge UPS or USPS for to get those later date pickups? Is it something you worry about? Is it something you have to pay extra for? Aaron: You definitely don’t pay extra for it. UPS and FedEx are pretty responsive, especially if you’re going to be switching to them. You say, “Hey, I need a pickup after 5:30,” they’ll do that. We’ve never really had a major problem with them. We haven’t had any problem with UPS in terms of getting pickups as late as we want it. The only issues we’ve ever had was during peak season, we actually have them leave a trailer by us and then we fill up the trailer, they take it away and get a new one. Aaron: Otherwise, they send a whole bunch of a trucks and there wasn’t enough room, whatever. So then, there have been times where they’re like, “All right. We’ve got to take the trailer. We’ve got to go or everyone else is going to get delayed.” We’re like, “No! We still have eight more orders,” or 80 more orders, whatever. But they’re really good. The post office is way more inconsistent and they finish their day earlier, I guess. So they’re much more of a fight. But what we’ve found is basically, when you get the right person there, they’ll be super helpful and they’ll make sure everything happens. And until then, you’re just going to be told by a whole bunch of people that either can’t or won’t do much to really help you. Andrew: I know it’s a little granular and maybe a little bit, potentially even too involved, but I think it’s cool to walk through the exact steps each way. Because for me, at least, I have no idea, I have a rough idea. But hearing the specifics, it’s really cool how it goes from coming in to getting onto the final truck. What about counting inventory? If you’ve got all this inventory in a warehouse at some point, you probably want to reconcile and do an inventory count where you make sure that you’ve got what you think you have to make sure you don’t have problems with your systems or you don’t have employees stealing from you. So how do you do that? Is it a pretty basic process of just printing off on QuickBooks or Xero what your inventory is with the SKUs and the quantities and spending a long, grueling week or weekend just manually counting inventory? Aaron: Yeah, that’s a great way to end up with even more mistakes than when you started. So what happens is it’s a really typical process. Everyone is like, “All right, we’re going to not ship for the next three days. We’re just going to print out what we have, we’re going to count everything, we’re going to update everything and then we’re going to start shipping again.” And first of all, no one finishes the expected amount of days. So then it runs over to shipping days, and then you get this incredible stress of like, “All right, we want to get to sales, which means we need to be shipping. But the account is only three-quarters done, so if we stop now, it’s pretty much useless,” and then everyone gets all aggravated, and it’s not a fun time. But the bigger issue is that the accounts end up, for every item you correct, you end up kind of screwing up another one. Because generally, what happens is a lot of times, people pull in staff from customer service or whatever, people that don’t know the warehouse, they don’t know the products. And if you expect to give them just a SKU, a name, and a number, and for them to find the account accurately, they’re not. They’re going to make a ton of mistakes. And the other thing is, people got to finish their list before they can leave and go home, and no one wants to be there on the weekend counting inventory, and you’ll see a lot of people taking shortcuts. It’ll be like, “Yeah, it looks like 12. Check it off,” you know? So no, that’s definitely not the way to do it. You’re better off just leaving your inaccurate accounts than going through that. So the way to do it, the way we do it in ShipHero, and the way we’ve always done it is something called cycle counts. So we have counting as a part of the weekly task. So every week, we count a certain number of items, and that’s our goal for the week. And the people that have to count see at the beginning at the week, hey, we have 89 items to count this week. And as soon as they’re done with those 89 items, they’re done counting and they don’t have any more. Next week, there will be another 89 items. And we count live. We use ShipHero so everything is real time so you can count while people are shipping because you know exactly if the item was picked yet or not and what shelf it’s on. I know that’s my company, I know that’s what we do, but that’s the only way to do it, to actually have accurate accounts. At least that I now of. Andrew: Very cool. Instead of eating the whole elephant one weekend, you break it up over the course of . . . how often do you cycle through? Obviously, you’re doing just a little bit every week, but how often? Do you cycle through the entire account and come back to when you’re counting that SKU again? Is it quarterly? Six months? Annually? Aaron: So we said that the average item is counted every 26 weeks, so twice a year. But that doesn’t mean every item is counted that often. Some items are counted way more often, some are way less often. The reason being . . . an example is let’s say I was running Costco, right? You shop at Costco, right? Andrew: Occasionally. We don’t have a card. But we’ll sneak in with relatives every now and then. Aaron: You should sneak in. All right. Andrew: It’s $50 a year, man, come on. Aaron: I’ve got 2 kids, the wife and 2 kids, so yeah, I think it pays. So when you go to Costco, they’ve got these huge play places, right? They’ve got three of them in stock and they sell a couple a year, right? And then they also have toilet paper where they’re selling 1,000 rolls a day, and that’s just to me. So to count those both at the same frequency is ridiculous because the odds of one of those big things disappearing when you only saw a few year, the odds of that counting wrong are pretty low, right? Aaron: Versus your items that are being touched a thousand times a day, well, that’s a thousand opportunities to make a mistake. So you want to prioritize those and count those way more often than the items that are barely ever touched. So we usually prioritize it like that. The only times we don’t prioritize it like that are people that have really expensive items. So we have a customer that’s jewelry. They count that based on the value. So the more expensive the item, the more frequently they count it. It’s because they’re not worried about a mistake, they’re worried about theft. Andrew: And is that all built into ShipHero where it’ll look at pricing, it’ll look at the velocity of things moving through your warehouse? And when somebody goes to pull an order, it’ll say “Hey, by the way, you’re already here. You’re pulling toiler paper. Go ahead and count all the toilet paper on this order.” Is it built-in like that or is it something a little more manual to do? Aaron: So we don’t do it on the pick side. We used to, during picks. We removed that and we just made it a separate task. The reason why, and there’s arguments on both sides of this one, the reason why we opted to do it outside of picks is we do put a lot of focus on picker efficiency. It’s how we monitor our people and a lot of our customers pay their workers based on the number of picks. So if you’re getting paid for one thing and then, oh, by the way, just do this other thing which doesn’t really count towards your scoring and towards your pay, you’re either going to be annoyed at it or not do a real good job at it or whatever. It just didn’t seem like the right thing to do so we decided to set it up as a separate function within the app. Andrew: Makes sense. So what about metrics? We’ve talked about a few in terms of efficiency of pickers, how many picks per hour, things like that. If you had to pick, and maybe I’ll put you on the spot here, if you had to select, let’s say, 4 or 5 top, at most, metrics to track for your warehouse, what would those be? Aaron: Well, your most important things is to not be making mistakes. So if your error rate is over, let’s say, 0.02% of orders having a mistake, you need to fix that first. Andrew: It seems really small. Aaron: Yeah, you want it as close to zero as possible, right? We typically see over 1% on customers that are switching to us. Which is, I mean, insane. Imagine if 1% of the time, your shopping cart just wouldn’t take someone’s order. You would switch shopping carts the next day, right? But for whatever reason, if 1% of the orders have a mistake, people don’t know how to solve it, so they just deal with it. But you shouldn’t, you shouldn’t have to deal with that and you should be, like I said, in the 0.01% range. Obviously the more zeroes you try to add on there, it becomes exponentially harder. But yeah, 0.01%, that should be a good target. The next thing you want to look at . . . I don’t worry as much about the number of items that went out during the day. What I worry about is did everything that needed to be shipped that day go out? If the answer is yes, we hit all our targets, then we did a good job and that’s it, mission accomplished. And if there are orders that came in and we promised our customers that we’d ship it the same day and we didn’t, that’s a problem that has to get solved. And it might be you need more staff, maybe you need different staff, maybe you need different systems, but that’s a red flag. You can’t promise a customer, “I’ll ship it on Monday,” and then actually ship it on Tuesday. At least not if you want to keep that customer. And the next thing I look at is an area that tends to get a little neglected is receiving and returns. So if receiving and returns, if those are backed up, if those are behind, sure, you don’t see that kind of hitting your bottom line today. But if receiving’s backed up, it means you have less stock available to sell, but you’ve already paid for that stock, so that’s a real waste of capital and a real waste of opportunity. And warehouses tend to, if they’re busy, let that slack. So you’ve always got to make sure that that’s running to schedule. Which is all stuff, again, we have all in ShipHero. You log in to your dashboard, it says, “Hey, here’s the orders that are late. Here’s the POs that are late.” So you always know what the status of those are. And then the last thing is returns. Just if returns are behind, you’re going to have customers that might have come back to you now say, “Hey, these guys, they’re not the company I want to deal with because they took a week to process my returns.” So just making sure that the warehouse is up to date on receiving and checking those in. Andrew: In terms of returns, if something comes back to you, it’s in mint condition, it hasn’t been opened, it’s in the plastic wrap, not a problem to resell it, but I’m guessing that’s oftentimes, the minority of returns. You get stuff that is returned in various degrees of use and abuse. So is it just a judgment call and saying, “Hey, okay, this we can resell. We’ll put this back in inventory.” For those ones that you can’t sell as new, what do you with those? Do you have a special section where you have used stuff that you sell at a discount? You have clearance stuff, you call it refurb. What’s the process for that? Aaron: Yeah, so one thing I’m really proud of, actually, is if you go to our site, RollMore.com, we have a wash and wear guarantee. So you can buy one of our jiu-jitsu gis. You can wash it. Hopefully, you don’t, but it happens all the time, you could bleed on it. You could sweat all over it. And if you decide, hey, this is not the one for me, you don’t have to tell us why. Just say, “Hey, this is not the gi for me.” You can send it back with a prepaid label and you’ll get a full refund. So obviously, we get lots of returns, none of which are resalable. So we have someone who takes a picture of the item, puts it on eBay, and we sell stuff on eBay all the time, everyday. It’s fine. Andrew: Got it. Interesting. Okay, cool. A little bit off the warehousing-specific path, Aaron, but there was a discussion you started. One of my favorite in the forum this last month, in terms of branding . . . and we’ve talked, obviously, a lot about branding, at least here on the podcast in the last year. And you mentioned that just given your position, being able to see into different clients’ businesses, not talking specifically of course, but broadly seeing different businesses, how they’re doing, how many packages they’re moving, overall health, there’s the difference you’re seeing between businesses that are reselling existing things and having your own brand. So would you mind just briefly sharing, really, just restating what you said in the thread and a sum of those insights that you’ve seen, given your position? I think it’s fascinating. Aaron: Yeah, I can tell you, just for myself, when we didn’t have a brand and now we do have a brand, and then all the people . . . I speak to business owners, a few a day, just with ShipHero. Some are more open than others, it’s to their profitability and stuff like that. But yeah, the ones that have their own brands tend to be the ones that are way more relaxed and comfortable, financially. They seem on pretty solid footing versus a lot of the resellers who don’t have their own brands just much closer to the limit. They just don’t have quite the margin. So everything’s tighter. When you make your own brand, it’s not about . . . I think the mistake people think about is . . . I’ll give you an example. So in apparel, let’s say you produce an item overseas and it costs $25 to produce. You typically sell that to a retailer for $50, and then that retailer sells it onto a customer at $100. It’s the typical math. When you bring in a product, the idea is not, okay, let’s bring it in for $25 and then let’s just sell it direct to the customer for $50. That’s not going to work for anyone. It’s not going to make your other vendors happy and you’re not going to make any more money. The idea is still bring it in for $25, sell it for $100. So you’re not winning based on a price, you’re winning based on the fact that you don’t have to cut corners on that product. And you do a couple of little things like that, so you do lose a little of your margin on that, you can be more generous with your return policy, stuff like that. But more importantly, you get more margin. And when you have more margin, you’ll find that when there’s good opportunities, for things to do to build your brand, to grow your business, you’ll have the cash and you won’t be so nervous to spend, you know, “Oh, man, I only have so few points. I’ve got to be really careful with it.” You’ll be more willing to take some risks and do some more creative things. And for whatever reason, the people that have that margin tend to be just more successful, growing their business and doing innovative things. Andrew: You mentioned right at the beginning of that thread, you said, “I’m going to get a lot of hate for this . . .” before you dove in. Why did you think that? So it’s significantly easier to think incrementally and be like, “All right, we’re going to start a store. This great platform is out there. I can just set up my Shopify store for $40 and five hours, speak to some drop ship companies, get a few products loaded,” and start like that. And then I can keep working incrementally. I could say, “All right, let’s work on my AdWords. Let’s work on my SEO.” You might end up with making a living, but you don’t end up, at least in my experience, being super wealthy in a reasonably short amount of time. The people that do that are the people that are willing to take those big jumps and do what other people won’t, which is say, “Yes, I have an eCommerce business, but I’m going to now start a brand. It’s going to take six months until I get my first product in. I won’t know if it’s going to work. I’m going to have learn all these new skills. I’m going to have to learn how to source. I’m going to have to work with designers. I’m going to have to be sweating, waiting for that shipment to show up, hoping that it actually matches what I ordered,” all those hard, difficult things to do. But as I said, you’ve got to be willing to do the things that other people won’t and starting a brand is one of those things. And yeah, either you embrace the grind and you say, “Hey, man, if it’s easy, it’s not worth doing.” Or you have the other philosophy, which is, “I just want to make enough money with the least amount of effort.” So I’m on the first one, not the “least effort” side. Andrew: I love it. It was a great discussion. We’ll link up to it again for forum members in the show notes on this episode. Aaron, this has been really fun. If you’re listening, you run a warehouse, you’re thinking about running a warehouse, ShipHero.com. I obviously wouldn’t have had Aaron on if it wasn’t something I thought was a really great product. But I’ve been really impressed with what he’s done, and how much just thought and automation has gone into that product. So check it out, ShipHero.com. We’ll also link up to his number of eCommerce stores in the martial arts space. We’ll link up to those in the show notes. Aaron, it’s been fun. I’ve been wanting to connect to tell you this for a long time, you didn’t disappoint, man. Thanks so much for coming on and just dropping all this knowledge about warehouses and inventory. It’s really appreciated. Aaron: Thanks, Andrew. Lots of fun. Andrew: That’s going to do it for this week, but if you’re interested in launching your own eCommerce store, download my free 55-page e-book on niche selection and getting started. And if you’re a bit more experienced, look into the eCommerceFuel private forum. It’s a vetted community for store owners with at least $4,000 in monthly sales or industry professionals with at least a year or more experience in the eCommerce space. You can learn more about both the e-book and the forum at eCommerceFuel.com. Thanks so much for listening and I’m looking forward to seeing you again next Friday.